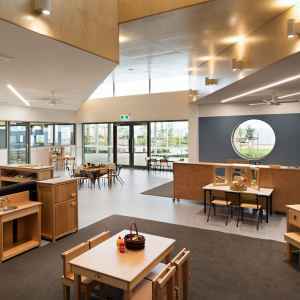 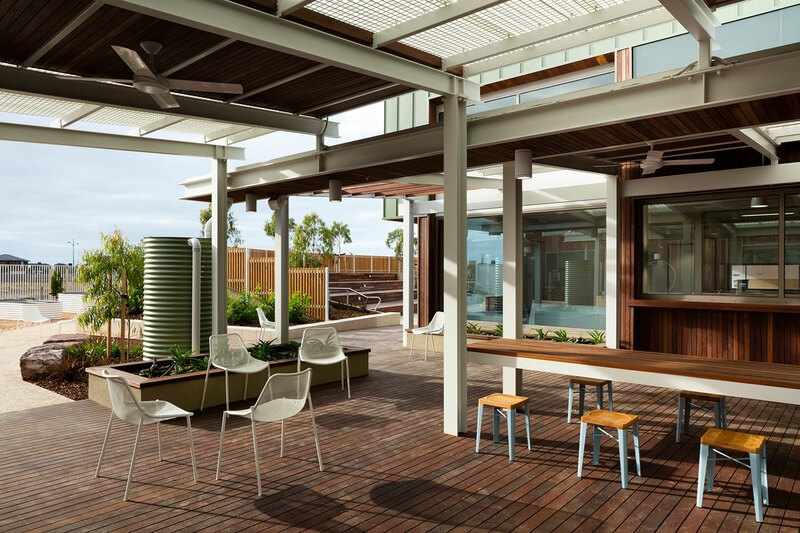 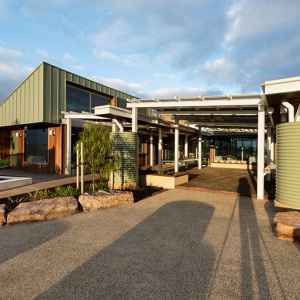 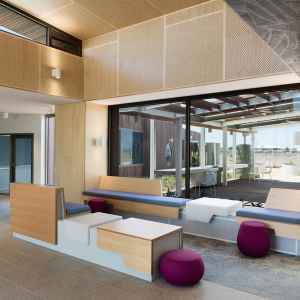 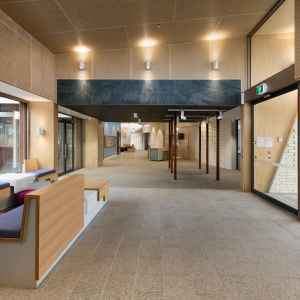 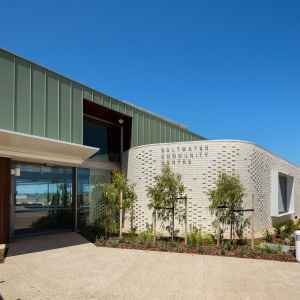 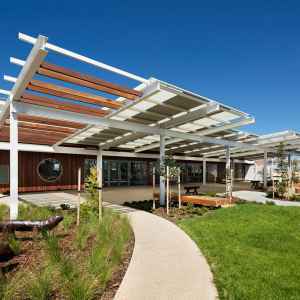 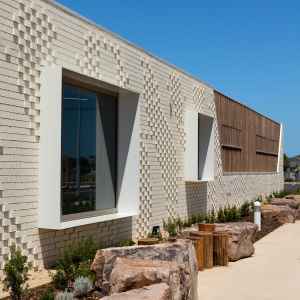 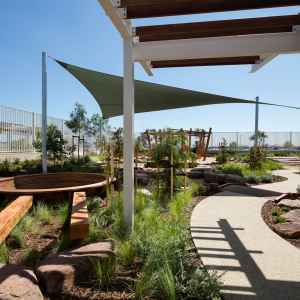 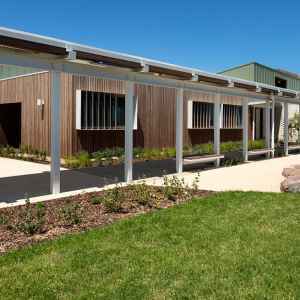 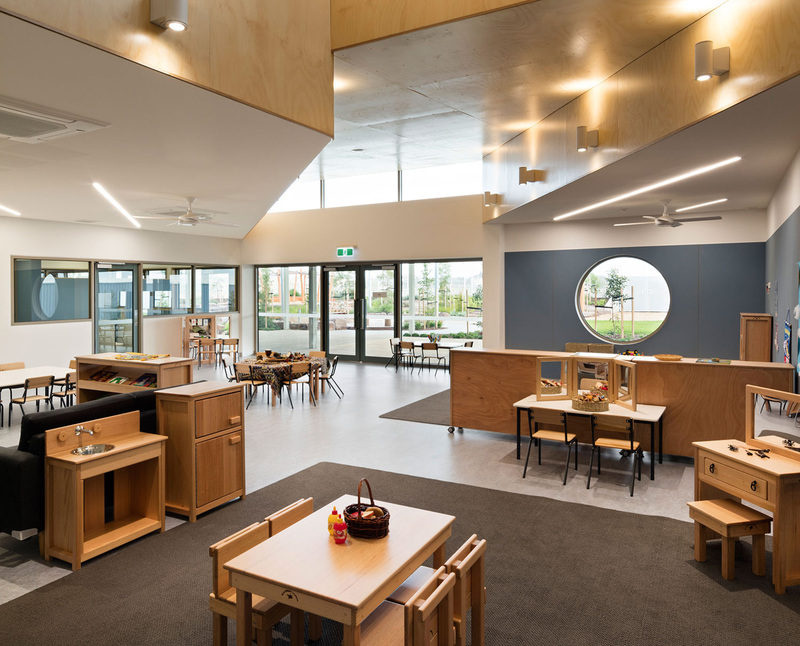 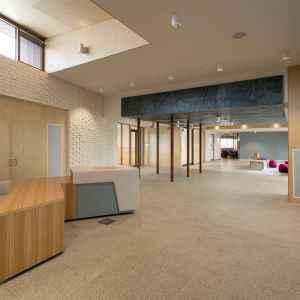 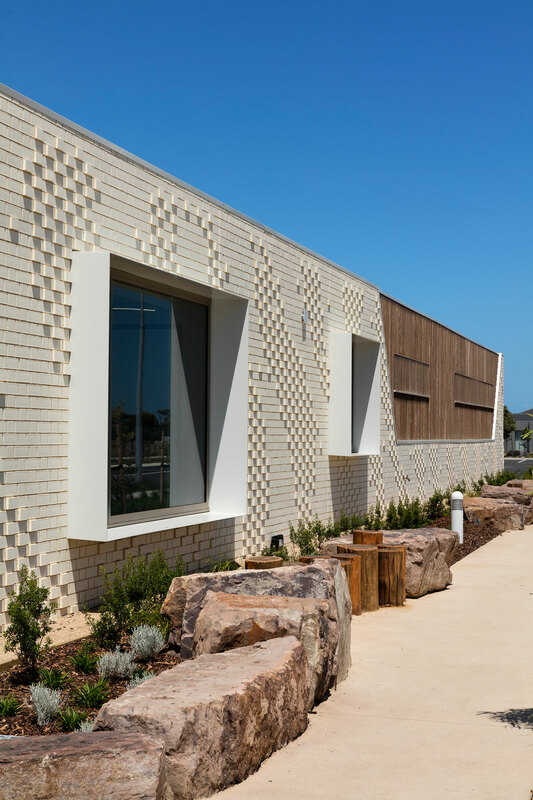 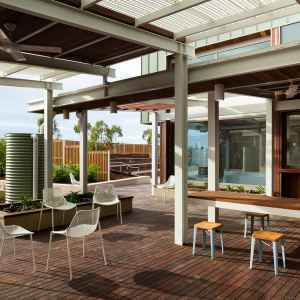 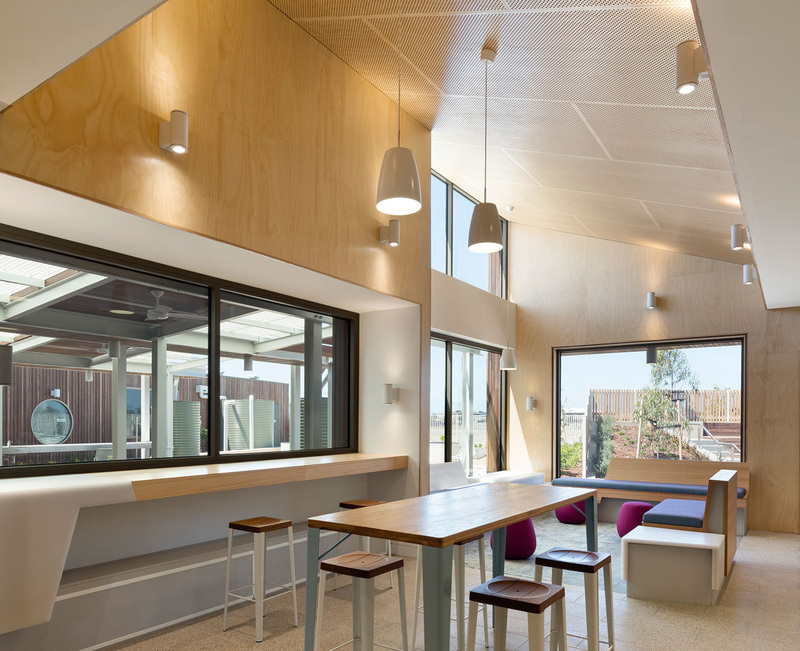 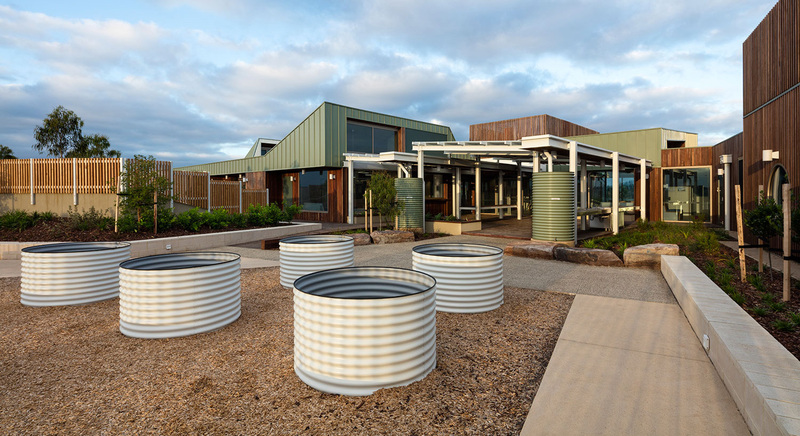 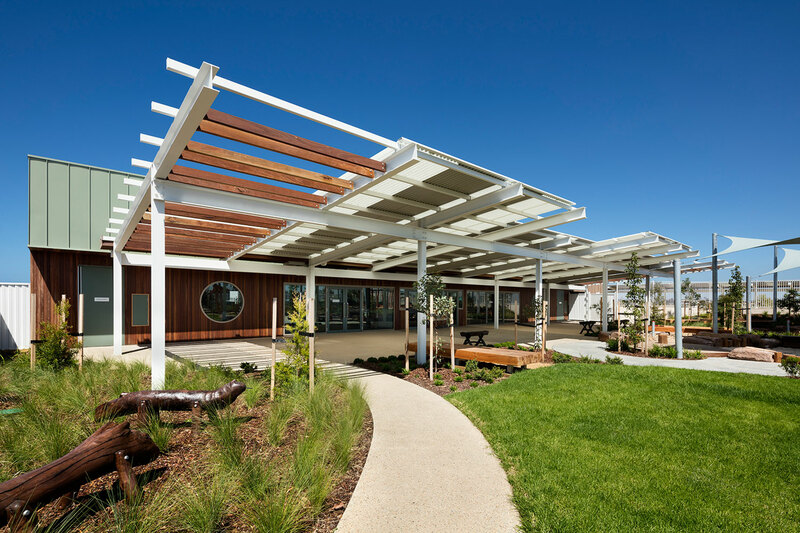 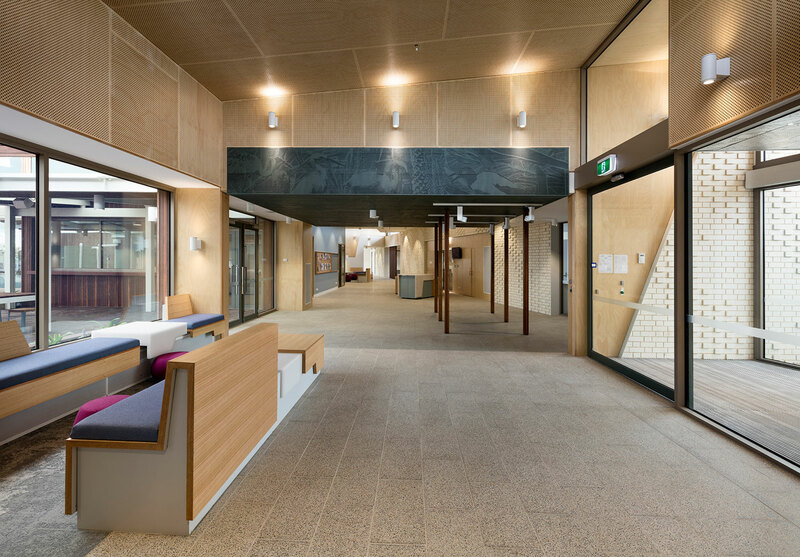 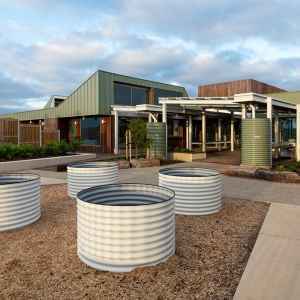 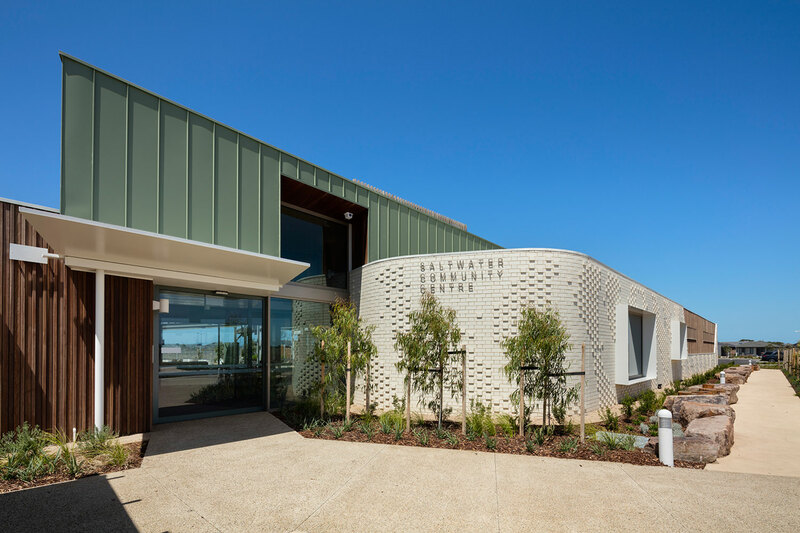 Wyndham City Council’s Saltwater Community Centre, located in Point Cook, is in many ways a ‘pilot case’ for the council and the municipality, departing from the prototypical community centres recently deployed to fledgling communities on Melbourne’s ever expanding periphery. 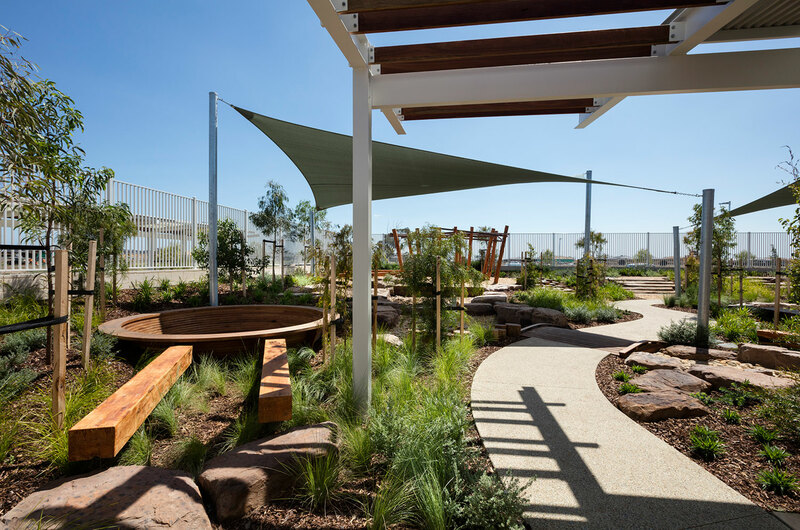 The building was imagined as an abstracted tree, reinstating a notional form of shelter to the site whilst also signifying new life. 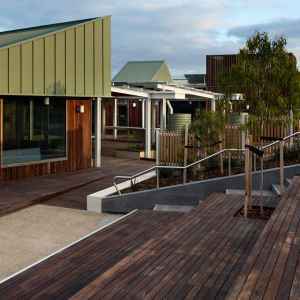 A green metal roof ‘grows’ strategically over and down the sides of the building in places, while in others, soffits are lined in a warm timber that speak of a tree’s under croft. 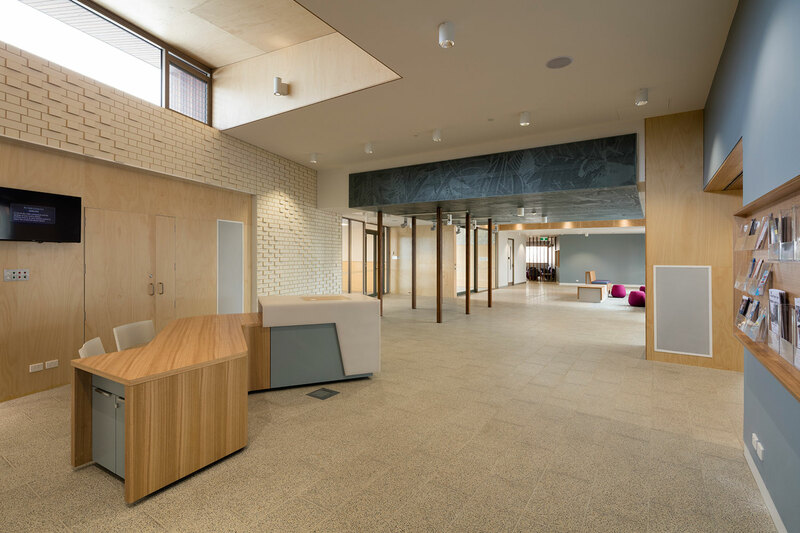 The main foyer is set up as an internal street that has areas where participants can gather before and after activities, a large amphitheatre creates a space for performance and is also used as a thermal labyrinth to pre cool and heat outside air. 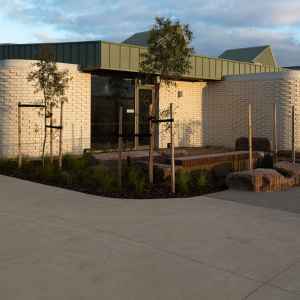 There is a large community run produce garden that leads onto the community covered deck and into the community kitchen for cooking classes and support of healthy living programs An art studio also leads onto the main street where permanent and temporary exhibitions can be set up. 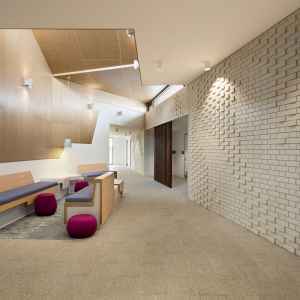 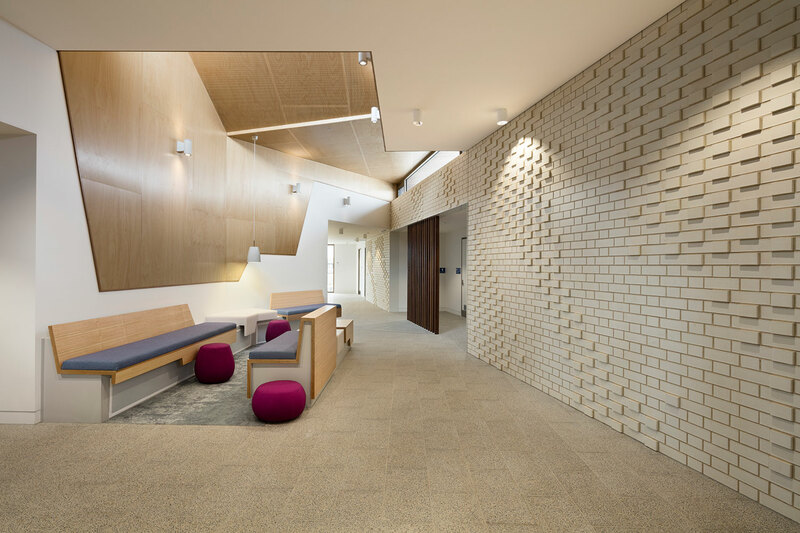 Art is integrated into the building through working collaboratively with a local artist for the patterning in the external brickwork and an internal perforated ceiling. 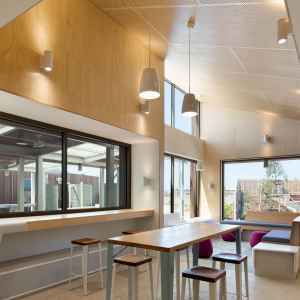 The whole notion of engaging with the community is also been challenged. 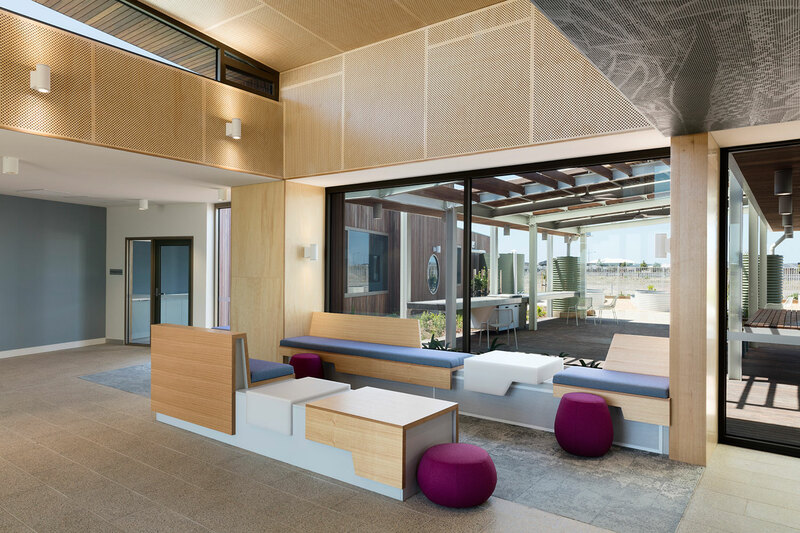 There is no permanent reception desk, but a number of pods along the internal street where the community can access Council and community information or be assisted by a staff member by sitting side by side at a pod.